While being a notoriously difficult condition to diagnose and treat, the resulting pain is very real. Our doctors understand you cannot improve your quality of life without treating the cause of the problem. 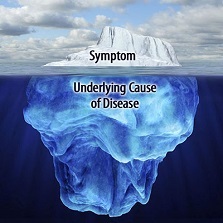 Each Fibromyalgia patient is fully evaluated and treated individually based upon their unique symptoms. Fibro strips your life away one layer at a time. 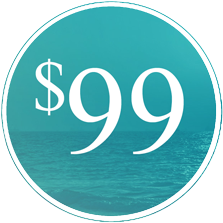 Our goal in treatment is to restore your health to restore your quality of life. The cause may remain unknown but new research is revealing powerful treatments which reduce the chronic fatigue, sleeplessness and pain symptoms as well as lower pain thresholds in the patients who are affected. 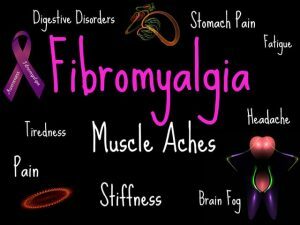 As is stands now, Fibro sufferers have little to rely upon than over the counter pain relievers or even worse, pharmaceutical grade pain relievers which only mask the pain and do nothing to address the cause of symptoms. While each patients’ treatment is unique, here is the latest research on the tools and techniques we use to effectively fight Fibromyalgia. There is hope. There is help. Call today or Schedule online now. There are no known side-effects with Laser therapy and it has proven analgesic results being successfully used with Fibromyalgia patients. “Low-level laser therapy helps patients with fibromyalgia syndrome by increasing blood flow to the painful area, contributing to the release of the amino acid, beta-Endorphine, and decreasing pain receptor activity in treated areas,” according to Indiana State University researchers. 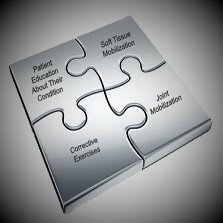 The decreasing of symptoms allows patients to function better and feel able to exercise. This creates a cascade response of better circulation, improved range of motion, leading to lessened pain symptoms and more restful sleep. Additional benefits include reduced pain and swelling, improved circulation and enhanced delivery of water, oxygen and nutrients to the involved tissue. Perhaps the most extraordinary modality successfully being used to treat Fibromyalgia sufferers is PEMF. PEMF uses magnetic fields to increase muscle mass and bone density. It has been shown to be incredibly effective in alleviating pain, and reducing inflammation; stimulating tissue healing and strengthen bones. It is used to relieve fatigue, support neurotransmitter balance, reduce stress and increased relaxation. PEMF is also instrumental in achieving a deeper more restorative sleep. The conclusion of a study published in the Clinical Journal of Pain summed it up like this; “PEMF therapy might improve function, pain, fatigue and global status in Fibromyalgia patients.” We have found this to be true in treating even the most severe cases of Fibromyalgia. Considering Fibromyalgia is a neuromusculoskeletal disorder, it stands to reason that gentle manipulative therapy would be appropriate for these cases. Due to the fact, that we focus on the treatment of neurologic conditions, we find our treatments are uniquely tailored to affectively treating the over active nervous system in Fibro patients. FM is characterized by a lowered pain threshold and extra sensitivity to any touch, so gentle Activator methods are used. Activator is a hand-held, spring-loaded adjusting tool which can be dialed in to be gentle enough to treat the most sensitive patient without negative reaction. Research has shown that once a Fibromyalgia patients’ lowered threshold to pain is managed, exercise and stretching are one of the best ways to manage any residual symptoms or maintain a pain free life. Our Doctors don’t overwhelm our Fibro patients with exercise regimes but instead use gentle methods of keeping the changes you have made. Each exercise or stretch is demonstrated by a staff member and handouts are sent home to make sure you are always reminded of how your exercises are performed. Often times diet and lifestyle choices can effect Fibromyalgia patients negatively. Our knowledgeable staff will review your dietary choices and make educated changes which can decrease systemic inflammation that may be causing increases in your pain symptoms. Some patients require nutritional supplementation to assist their progress. Take action now! Call Today for a Free Consultation or submit your request online. Don’t give up. Take the first step and get your life back! 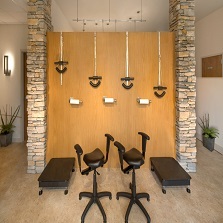 “When I first came to Rocky Mountain Spine and Disc, I was experiencing daily pain throughout my entire body. The pain was so widespread and constant that I feared Fibromyalgia or another diagnosis. Since beginning treatment my pain has decreased and I am able to sleep at night. Many days I feel well enough to over-exert myself! I feel so much better in such a short amount of time and expect my progress will continue.” – Janet M.
“I was diagnosed with fibromyalgia one year ago. After many tests and medications, my condition remained the same. Within one month of treatment, I now have more good days than bad. Dr. Irven rocks!” – Debra M.
“When I ﬁrst came to RMSD I was having neck, back and shoulder pain along with frequent headaches. I suffer from Fibromyalgia. With the treatment I have received, I have seen a signiﬁcant improvement in symptoms. My neck and back feel much better. My headaches are a lot less frequent and the pain in my shoulder is much improved. I am very happy with my decision to go to Rocky Mountain Spine and Disc.” – Teresa S.